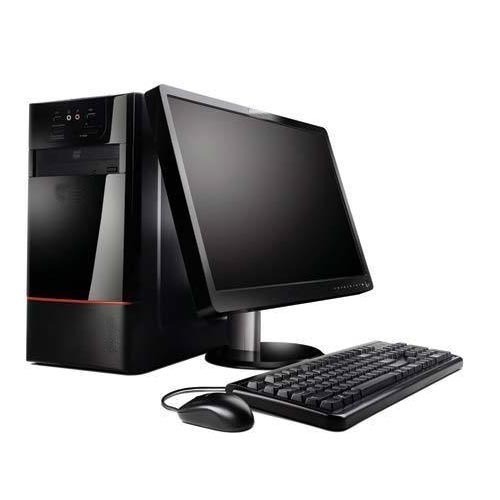 We hold expertise in offering a quality approved array of Desktop Computer. Offered Desktop Computer is tested for its quality before final dispatch. These products are made accordingly as per the requirements of the clients. Besides, these products are known for their hassle free performance. Established the year 2007, Shree Mangalam Computers & Communication is have some expertise in supplying, trading and retailing a vast reach of Mini Laptop, Desktop Computer, Audio Speaker, Computer Keyboard, Tablet PC, USB Pen Drive, PC Headphone, Wireless Web Camera, Mobile Cover, Thermal Printer, Flexible Keyboard, Ink Cartridge and many more. The results of our organization are made by our sellers utilizing most recent engineering and joining all the in fact progressed characteristics. In business, modern, private, secret and a lot of people more places, our products are generally known. These products give security, effectively installable, actually praiseworthy, utilized for observation and numerous different requisitions in this way very requesting. Being sole proprietorship based firm, we are dealing with all the exercises successfully. The products offered are suggested in the business sector for Communication and Multimedia Applications.